A financial strength ratio that measures proportion of company's Long-term debt to Stockholder's Equity. 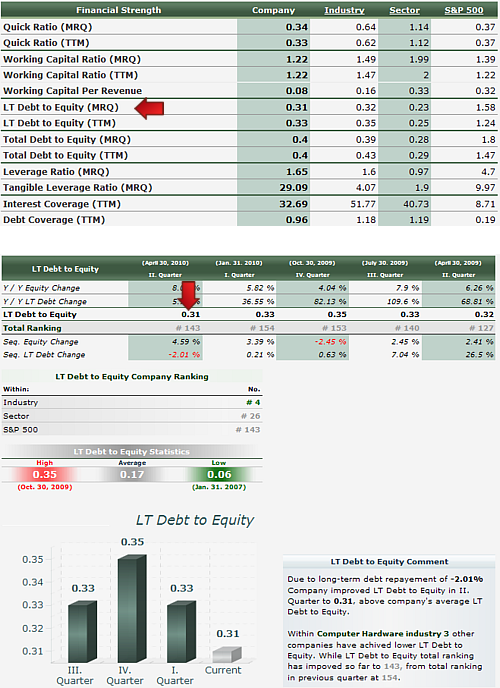 LT Debt to Equity Ratio displays company's indebtedness and the leverage of Stockholder's Equity. The number indicates how much company owes of long-term debt for one dollar of stockholder's equity. The lower the number, the stronger the balance sheet of the company.